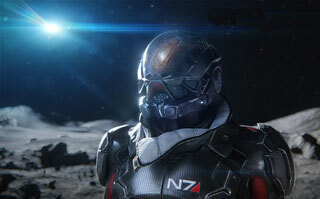 EA has officially made the studio behind the Mass Effect series part of EA Motive. After the less-than-stellar reception that Mass Effect Andromeda received at launch, a number of the staff that worked on it were moved over to EA Motive to work on Star Wars: Battlefront 2, and the series was reportedly put on hold. Now EA has made it official - Bioware Montreal is merging with Motive Studios. "The teams in EA Worldwide Studios are packed with talent, and more than ever, we're driving collaboration between studios on key projects. With multiple major projects in development in Montreal, we are merging BioWare Montreal with Motive Studios. This is an ongoing process, but there are many exciting roles and opportunities for everyone on the team." Motive is under the direction of Jade Raymond, and has an unannounced Star Wars project in the works. It's also working on the single-player campaign for Battlefront 2. This merger looks like it could be the end for Mass Effect, at least in the near future. Perhaps when the bad taste that Andromeda left with gamers has faded, the franchise could make a comeback, but we'll have to wait and see.